Local musicians are on a mission to put Cincinnati's music history on the map, one craft cocktail at a time. CINCINNATI -- History can be told in a myriad of ways, but for two local musicians, they're banking on your taste buds. 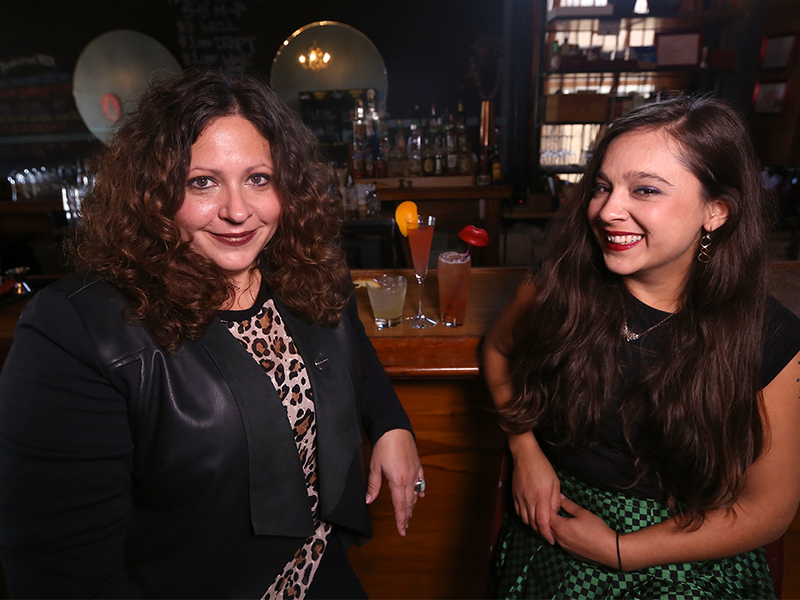 Maya Banatwala and Kristen Kreft are on a mission to put Cincinnati's music history on the map, one craft cocktail at a time. The longtime bartenders created a recipe book of dozens of cocktails inspired from local musicians past and present or those with ties to the Queen City. "Cincinnati is a Mecca of music history," Kreft said. "We’re right here in the middle of the Midwest where all music worlds collide. Country music, soul music, R&B, Blues, Funk music. It all kind of originated right here. We’ve got King Records, Fraternity Records, Jewel Records." They first came up with the idea for their book, titled "Rocktails: An Amped Up Spin on Mixology," while working together as bartenders for many years together at Japp's in Over-the-Rhine. “Being musicians, we both kept coming up with cocktail lists that represented music in the area," Banatwala said. "Every time we worked together we kept saying, 'We have to write a book!' and also honor musicians in Cincinnati through cocktails because that’s what we like to make." The pair spent the past year compiling stories and interviewing local musicians and DJs for inspiration for their recipes. 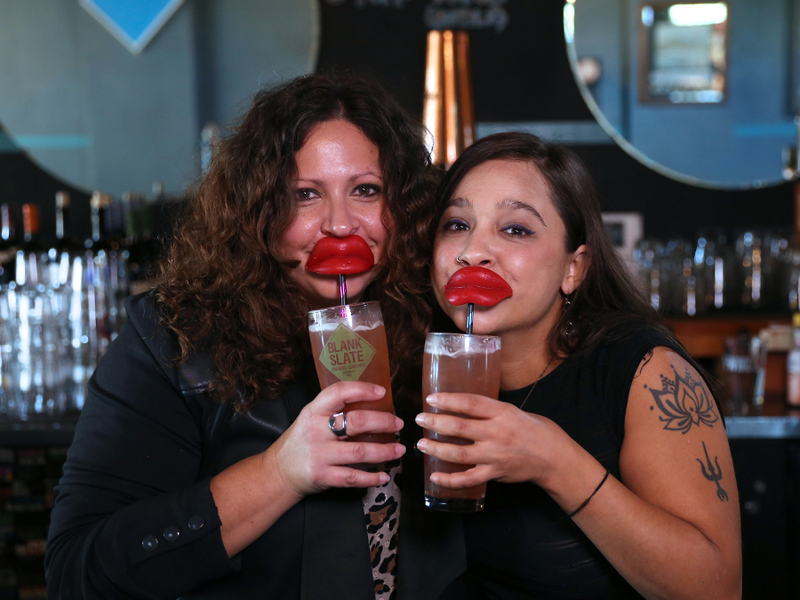 As part of that process, they held several fundraisers where they tested their creations through special pop-up events at live-music bars like Listing Loon and Urban Artifact. Some of those local acts included The All-Seeing Eyes, Cincinnati Knights, Quiet Lives, Darlene, Lung Carriers, Yusef Quotah, Andrew Jody, Brian Olive and more. "We would hire a band, ask them to give us a list of their five favorite songs, read the lyrics, find a little history about the song and create a cocktail based on that moment," Kreft said. After a year had a passed they realized that they gathered enough material to create their first book. 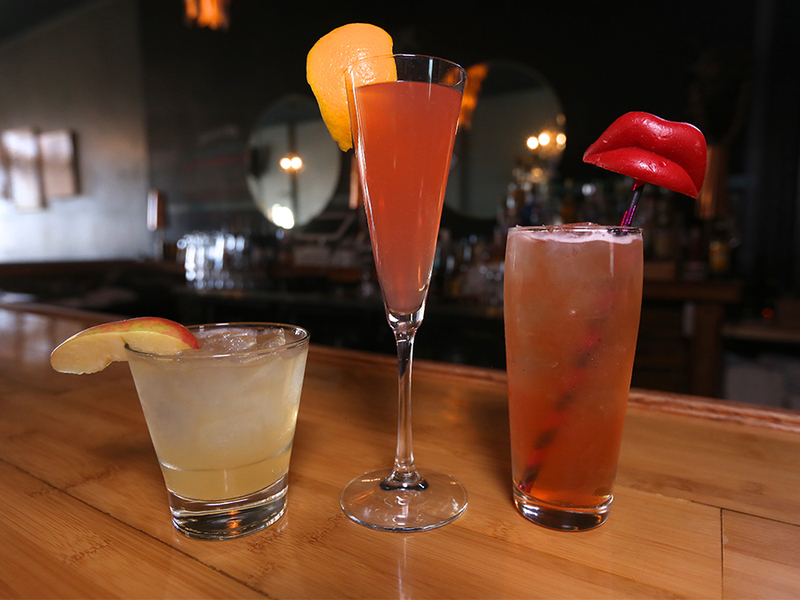 "Rocktails: An Amped Up Spin on Mixology," pays homage to the city's local scene. Each recipe has step-by-step instructions and a description of how they derived their inspiration. Some are takes on old classics, but all of them are new recipes that the pair designed. Banatwala and Kreft have a second book in the works, called "Cincinnati Rocktails," set to publish in the next few months that will solely focus on Cincinnati icons or famous artists who got their start here, like Rosemary Clooney and Hank Ballard. The Cincinnati natives hope their recipes bring awareness to their hometown's music heritage. “We want to honor these iconic musicians, but we also want to honor Cincinnati," Kreft said. "And we kind of want the world to know that these musicians, Cincinnati played a giant role in their life. And what’s the best way we can do that is that we can make a cocktail book." "Rocktails: An Amped Up Spin on Mixology," is currently available for purchase on Amazon . Half-Priced Books in Mason will host a book signing with both authors on Dec. 15 from 2 p.m. to 6 p.m.